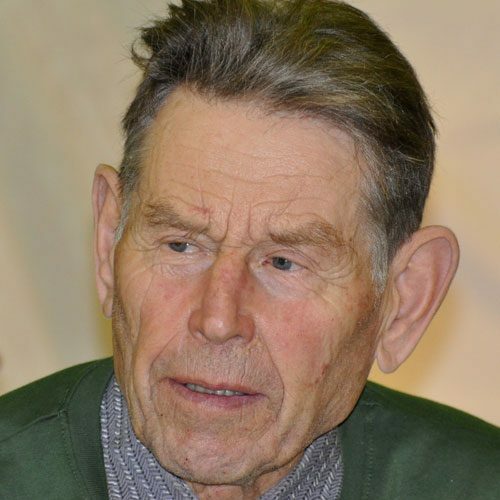 Pentti Linkola (b. 1932) is a Finnish radical environmentalist who is the author of Can Life Prevail? : A Radical Approach to the Environmental Crisis, published by Arktos, which is a collection of his essays that remains his only work to appear in English to date. He has lived his entire life as a fisherman. Linkola’s disgust with the fate of the natural world at the hands of modern civilisation, which he has witnessed first-hand through his proximity to nature, has led him to write a series of essays deploring the course of ‘progress’ in Finland and advocating deep ecology as the only means to reverse these trends throughout the world. Unlike most environmentalists, however, Linkola believes that the solutions often proposed in the West to solve these problems, such as recycling and electric cars, are fatal half-measures not equal to the challenge at hand. Linkola believes that the situation is so dire that it calls for a complete transformation of society, suggesting the forceful reduction of the existing human population and the birth rate, the elimination of democracy and humanism, the abolition of the stock market, putting an end to the manufacture of all goods not needed to sustain life, the replacement of all privately owned vehicles by public transportation, a ban on the use of fossil fuels, and the reintroduction of a subsistence economy. Linkola’s perspectives will provide a refreshing departure from the usual rhetoric on this topic for those who believe that there should be no compromise with the modern world when the survival of the entire ecosystem is at stake.